In the depths of everything that’s going on with my family, well, birthdays still happen and I needed to make a card for Eddy’s eldest niece. So, even though I really, really, REALLY feel like my creative juices aren’t flowing I just couldn’t fathom the thought of sending her a store bought card. While the card I made isn’t over-the-top with excitement I do like the fresh, soft colors and the mix of patterns. Cutting the sweet jar out of a piece of patterned paper added just the right focal point. After I stamped and heat embossed the sentiment I spritzed a few shimmery mists on the jar to add a little additional sparkle and shine. All-in-all I think it’s a cute card for an 18-year-old. What do you think? Paper: White (Bazzill Basics), Patterned paper – Twinkling Lights, Hazy Horizon – Neapolitan Collection (AmCrafts/Dear Lizzy), Be Happy – Follow Your Heart Collection (My Mind’s Eye). My first foray into the world of hybridism…I made a purse made out of paper. :) And I guess it wasn’t too hybrid. I didn’t do much hybrid, really. I love paper too much. But, thanks to winning a fantabulous gift certificate during the Stamping Out Alzheimer’s event from The Digichick (please check them out!) I was able to see some really wonderful digital templates and papers that I normally wouldn’t have seen otherwise. AWESOME!! Hope you all like it! I sure had fun making this. 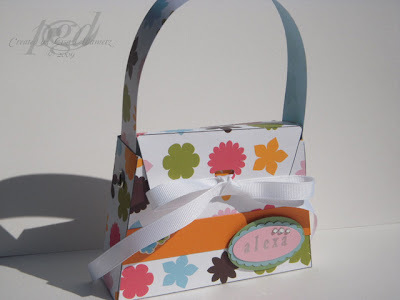 This entry is filed under Uncategorized and tagged American Crafts, paper purse, The Digichick.